Do you or your children want a cool Halloween mask, but don’t want to buy a far-from-eco-friendly plastic one at a big box store? 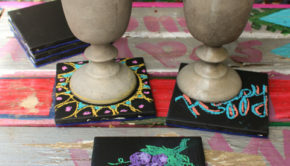 Create your own with recycled cardboard and chalkboard paint! 2. Twine. If you can, use hemp twine. 1. 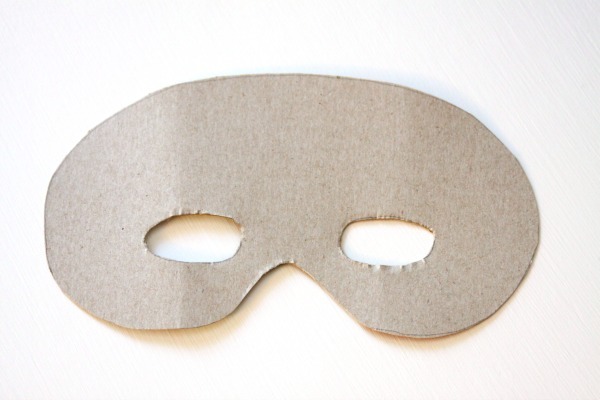 Draw a mask onto your recycled cardboard. I simply searched for a mask image on a search engine. Once I found one that I liked, I put recycled paper up to my computer, and traced it from there. 4. 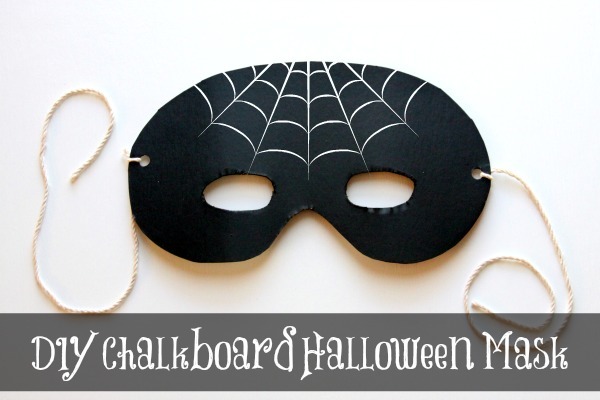 Follow the directions on the chalkboard paint for the dry and cure times. 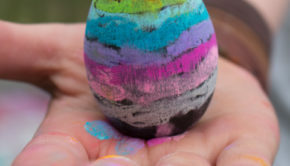 The paint that I used suggested that the paint cured for 24 hours before writing on it. 5. 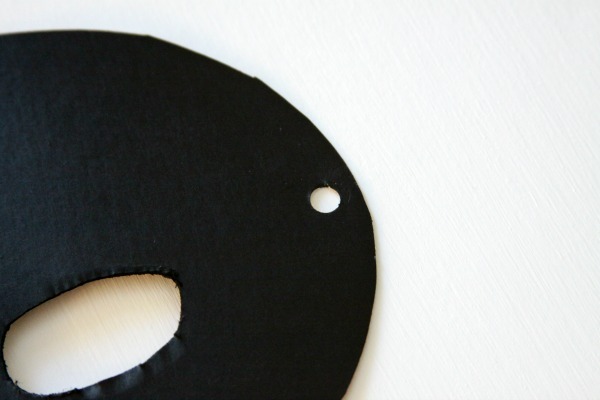 Punch holes in each side of the mask. 6. Attach a piece of twine to each hole. Once you put the mask on, you will simply tie it in the back. Now you’re ready to pair it with your eco-friendly Halloween costume! 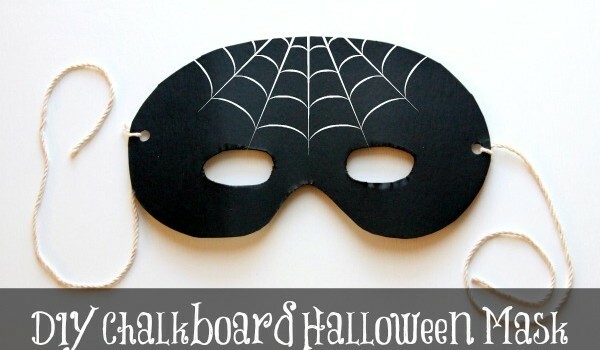 How would you decorate your chalkboard mask? 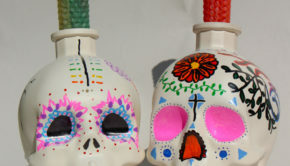 Oh, and if you’re looking for more Halloween craft projects, check out these last minute Halloween ideas and these Halloween crafts made from recycled materials!